Percusize Me! : A curiosity: on the anatomical and physical condition recquired to play a drum. A curiosity: on the anatomical and physical condition recquired to play a drum. As you already may know, I have a keen interest in everything related to the history and tradition of drums. 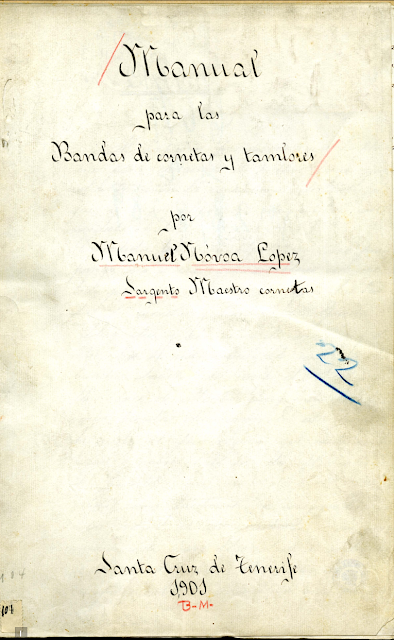 Searching for information in the Biblioteca Virtual del Ministerio de Defensa ("Virtual Library of the Ministry of Defense"), I found a book entitled "Manual para las bandas de cornetas y tambores" ("Manual for the cornets and drums bands"), written by Manuel Novoa López in 1901 (you can download it legaly and free of charge by clicking on the link). This has always surprised me... First, because I have never considered technique as sheer brute force. On the contrary, I think it´s a matter of hability, dexterity, logic and reasoning. Second, because my wrists are more like those belonging to a delicate Versallian damsel than like those hairy wrists belonging to a Rhine bargeman. Well... This is what today´s article is all about: a curiosity in this book which recommends quite the contrary to what we are used to. 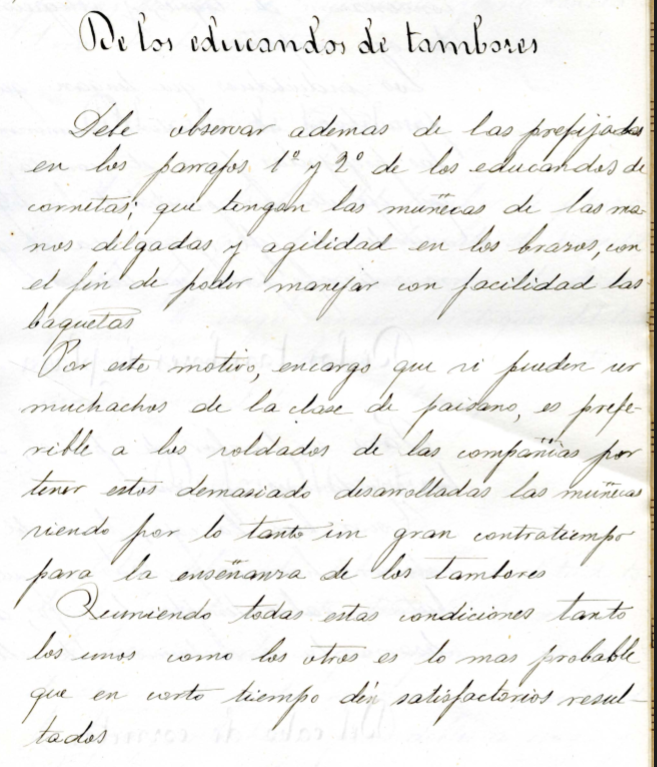 They must also observe the rules prefixed in paragraphs 1 and 2 regarding the learners of cornets, and to have the wrists thin and agility in the arms, in order to be able to handle the sticks with ease. For this reason, I order that if they can be boys of the civilian class, they are preferable to the soldiers of the companies, for the latter have their wrist too developed, being that a great setback for learning the drums. Meeting all these conditions both the cornets and drums, it is most likely to get satisfactory results in a short time". Funny, isn´t it? According to the author, the drummers, who are going to beat for extended periods of time at great volume in the battlefield, don´t need (more on the contrary!) specially developed or strong wrists. There´s another remarkable thing in those three paragrahps: the author mentions "boys", and that connects with the drummer boy tradition. There was a time when infantry drummers were teens, even children (records exist proving that nine and ten years old boys served in the American Civil War). Because of the year this book was written (1901), it seems very unlikely that children were enroled, but it´s plausible that boys in their 15s, 16s or 17s were admitted in those bands. Let´s leave the drummer boy thing for a future article. Today, the interesting thing is what was, at the beginning of the XXth century, considered appropriate, in terms of anatomics and physical condition, to play a drum. David Valdés on the net.